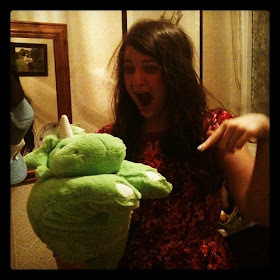 t*rexes and tiaras: Her fight and fury is fiery.. When I was little I remember having what I thought were the very best items of clothing I've ever owned. Maybe even ever seen. I (and my sister, as my parents had a tendency to dress us in matching outfits) had a set of green dungarees which had a dragon face on them, with a tail to the back, and another blue set with an elephant face and trunk on the front. 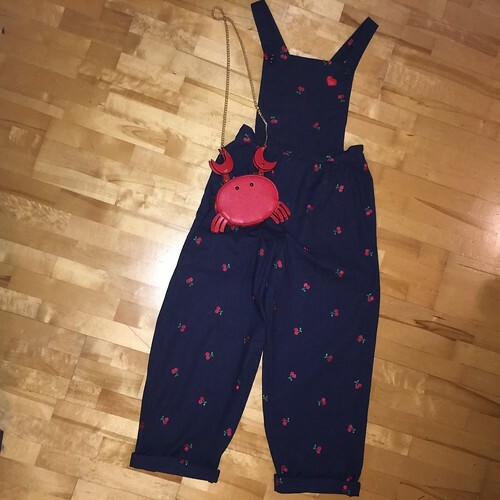 I know that sounds like the ubiquitous onesie now and there are many similar things to this available on the childrens' clothes market these days, but at the time they were pretty cool. I think that's where my love for dungarees was born. So, when I received the Cotton and Chalk Sunday Set as a free gift with a copy of Simply Sewing magazine, I hung onto it and decided I would definitely make myself a pair when I found a suitable fabric. This embroidered twill, which Sarah was getting rid of seemed the perfect thing to use for my first pair. 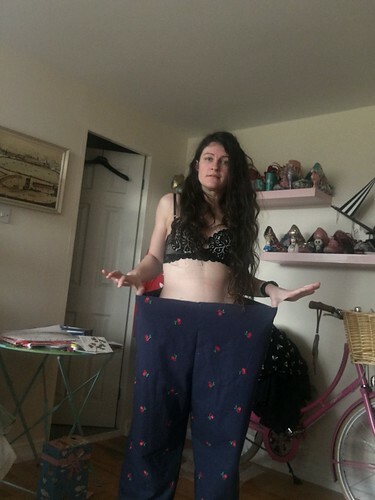 As you can see, I was a little concerned about them when I was partway through the construction process, but I hadn't read ahead far enough in the pattern notes to realise that I would be gathering the top of the trousers to fit their waistband. Yes, I wanted them oversized but I was worried they were going to be completely silly. Luckily, all turned out well in the end, and I still really like them, after a few wears. 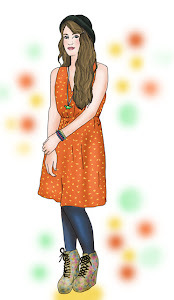 I'd definitely recommend the pattern, and have also made the pinafore dress, although that one *did* end up a little too big on the waist and so is waiting patiently in the alteration pile. Does anyone else find that these take longer to get around to than new projects? They look lovely!!!! You should be proud of them! I had a pair of pink cordhuroy dungarees as a child which I was told off in assembly whilst wearing and somehow associate dungarees with that! 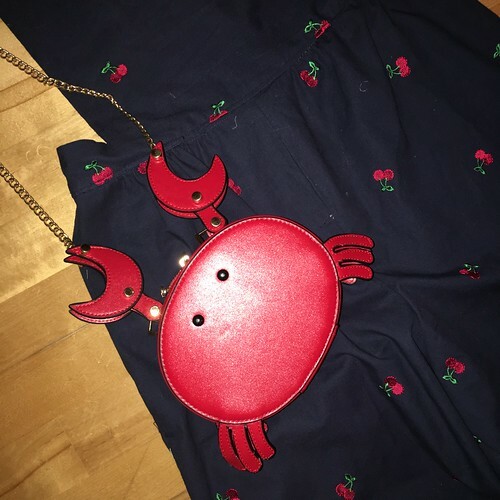 They look so cute and that crab bag is brilliant! 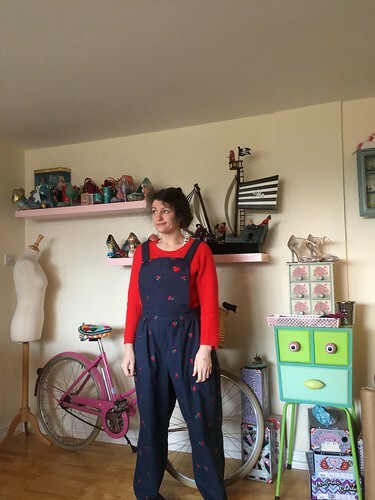 I also think my love for dungarees stem from childhood (in my case, a pair of pale pink denim dungaree shorts with embroidered flowers on the bib.) I spent most of teens unsuccessfully tracking down dungarees and eventually bought a navy workman's pair from a builder-type shop and pimped them up with fabric paint. They were defeinitely weird but I loved them at the time.